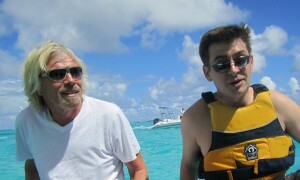 RME COO, Olivier Ceberio, won the 2010 Startup Open during the Global Entrepreneurship Week and as a prize, spent a day at the Necker Island, networking with a group of "Business Mavericks" and Sir Richard Branson. "This trip on Necker Island was a rich experience that will, without doubt, help me in my journey as entrepreneur and I am very grateful for the chance that was given to me by the Kauffman Foundation; the Startup Open and to all the people I was lucky to meet there." said Ceberio. The International Electrotechnical Commission (IEC) is the body that prepares and publishes international standards for all electrical, electronic and related technologies. The role of “Technical Committee” (TC) 114 within the IEC is to prepare international standards for marine energy conversion systems. The primary focus of TC-114 is to develop, publish and maintain such standards for devices that convert wave, tidal and other water current energy into electrical energy, although other conversion methods, systems and products are included as well.